Because someone was asked me Scizor in a Pokeball, now it's done. I've added a broken effects for this one. scizor. just the name is enough to draw me here. Sableye is best. sableye plz? I love it! Maybe if you had the time to do an Arcanine? i love this! I'm writing a Pokemon novel and i was struggling with how to describe the balls and how a trainer can differentiate between different Pokemon. any advice? 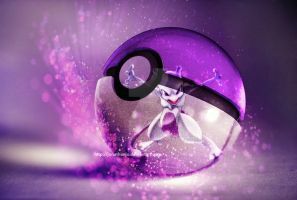 i love Scizor, and love this picture!! very nice!! These Pokeballs... are amazing.. An amazing job on all of them! This is great. The glow the intensity, everything. and very creative at that. Very - very awesome work. I like it, I like it a lot. How you do this, with the light on your hand and all that, I don't know. But you sure as hell do it great! GASP! My all time favorite Pokemon finally gets his own Pokeball! Nice job. The mantis is breaking out to deliver some bullet punches.